You’ve probably all heard of no Teletrack loans. Numerous advertisements are promoting ‘no Teletrack payday loans guaranteed approval’. But what does it mean? And what is the difference between Teletrack and no Teletrack loans? 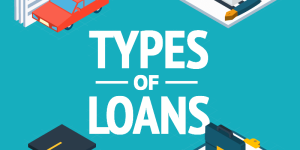 Today we’ll put the things right with this issue based on questions of our clients and find out which of these loans is best suited to your personal needs. What Is Good and Bad about Teletrack? Is It High Time to Request for no Teletrack Payday Loans? Or Is It Better to Choose Payday Loans with Teletrack? This term denotes a nationwide system developed by CoreLogic (California based company), which collect borrower credit data and provide it to many installment or payday loans lenders for checking the borrower’s loan performance. The service is provided by private third parties. Credit organizations apply to Teletrack for two reasons: first, they protect themselves from dishonest borrowers, and second, they track the potential borrower’s loan behavior. Thus, if you choose no Teletrack payday or installment loans, it means that the lender won’t check your records on the previous credits. And, vice versa, when applying to Teletrack loans, you should be ready that your credit profile will be accurately checked. It does, if you have an undischarged debt or unaccounted loan. All the data concerning your previous financial issues will appear in the Teletrack database. And this will be a factor when it comes to getting a new payday or installment loan. 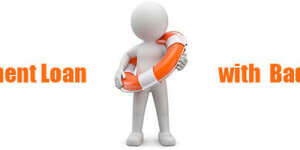 Your lender will perform a risk assessment, and only then decide on whether to give you the sum you need or not. Thus, if you have any troubles with credits and apply to the lender using Teletrack operations, you run the risk of having your application rejected. It should be noted that the services of the kind are employed by both offline and online lending agencies. However, Teletrack does not show your bank activities; they are tracked by another system, Telecheck. 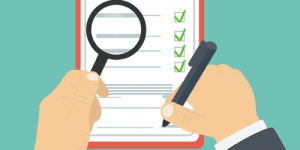 As a rule, loan providers applying to Teletrack services are legitimate ones, as they are closely scrutinized before getting access to the system. Additionally, their credit conditions are more likely to be regulated by the local government, which protects people from fraudulent lenders. However, it should be noted that such organizations have more severe credit requirements, and it is more difficult to get a loan from them. As for the companies that refuse from Teletrack services, their honesty remains questionable. Really, why should they refuse from tracking the borrowers’ loan behavior? You should think about: why do lenders refuse from using Teletrack, which protects them from insolvent borrowers? Isn’t it an attempt to hide something about their work? The organizations of the kind are more likely to have a higher interest rate, extra charges or other unfavorable credit conditions. It is, if you have defaulted in your previous payday loans or had problems with prescheduled payments. All your faults are indicated in the Teletrack system, so isn’t it better to avoid showing them? 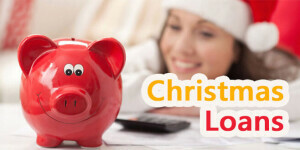 When you apply for fast payday or installment loans, the lender may decide that you won’t be able to pay off. Thus, in such cases, the best variant is to choose no Teletrack payday loans with guaranteed approval (try our lenders). They will let you obtain the necessary sum in the shortest possible time. But, mind, you should be ready to pay back on schedule this time, otherwise your credit history will become even worse. About other ways to improve your credit score reed in this article. Naturally it is, if you don’t have late payments and bad records on your previous loans. When your credit history is perfect, you have an excellent opportunity to get a quick and cheap payday, installment or personal loan with guaranteed approval from both Teletrack and no Teletrack lenders. Thus, you have more companies to choose from and can find the best variant with the most suitable credit terms for your personal needs. Think for yourself and keep in mind that no Teletrack loans can give some breathing space to borrowers with bad records on other loans. But it is very important to pay them back on time. And if you have no troubles with previous loans, pay attention to the organizations using Teletrack services, as they are more likely to offer you the best credit conditions.